The ICOMOS Ireland Heritage Week Event, 'Value of Cultural Heritage to Society' took place in Dublin City Council Wood Quay Venue on Tuesday 21st August. Following an introduction to ICOMOS Ireland by Gráinne Shaffrey and a briefing on the projects objectives and overview of The Faro Convention by Paul McMahon, thirty-six attendees participated in the workshop led by Rosie Lynch, Callan Workshouse Union. Further updates on the project to follow in the coming weeks. ICOMOS Ireland would like to thank The Heritage Council and Dublin City Council for supporting this event. The Final Report of the ICOMOS International Scientific Committee on Energy, Sustainability + Climate Change (ISCES+CC), and ICOMOS Ireland Dublin Meetings on the Sustainable Development Goals is now available to view at here. Recent work by ICOMOS Ireland includes a submission to the Building Standards, Dept of Housing, Planning and Local Government regarding the Draft publication 'Bringing Back Homes- Manual for the reuse of existing buildings’ which has been developed to support and facilitate the reuse of older/ vacant buildings in Ireland’s towns and cities for residential use. Following consideration of submissions, the guidelines may be amended. The submission from ICOMOS Ireland welcomed this initiative to provide guidance on the policy and regulatory context with regard to the reuse of existing buildings for primarily residential uses and how ICOMOS Ireland is keen to support such endeavours to support the continued and appropriate use of our historic and existing building stock in a sustainable manner which will also contribute to the provision of quality homes and the ongoing viability of our many historic urban centres of diverse scale and character. Peter Cox, ICOMOS Ireland and ISCES+CC member, has recently had an article published in the International Committee on Vernacular Architecture (CIAV) Newsletter, which has raised international interest. “go on the offensive in training, upskilling and educating all – other ISC’s such as CIAV, ISC20C, CIVVIH, ISCARAGH, ISCEAH, CIF, CIPA, ISCSBH, PRERICO and many more can assist in spreading the word and creating a positive movement to inform all of how to approach Best practice when considering the energy upgrade of a vernacular or traditional building. ISC’s and NSC’s should come together to organise joint conferences, skills training, technical papers and Continual Professional Development Courses (CPDs) in the “Energy Efficiency Retro-Fit of Vernacular & Traditional Buildings”. The official website for the Annual General Assembly is http://adcom2018.icomos.org.ar/en/ providing all practical information – registration, programme, hotels etc. Working documents including the Preliminary Agenda and reports will be available on the website in advance of the meeting. Registration will be open until 19 October 2018. Before registering - please consult in particular the page "Information for Delegates" and after registering - please carefully read the information provided by the Conference Organiser and keep an eye on the updates on the website. The agenda of the Annual General Assembly, on 6 December (9:00 - 11:00 am) will focus on receiving the reports of the ICOMOS President and Treasurer on the management by the Board and the health and financial situation of the association; approving the annual report and accounts and discharging the Board, as well as voting next year’s budget. (ref. ICOMOS e-News n°156 of 27 April 2018). All members shall have the right to attend the General Assembly and may be designated to be a voting member at the General Assembly within the conditions set out in Articles 9-a and 13-d-4 of the Statutes. Please note that additional Committee observers and voting members (beyond the Committee Presidents or their designated representative) are asked to contribute a registration fee. 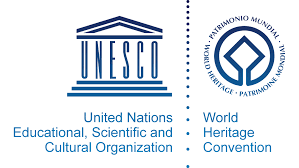 The ICOMOS Evaluation Unit has issued an appeal to receive desk reviews on the current nominations cycle for 2019 World Heritage List from any qualified members who would like to contribute. Please find letter here. The list of World Heritage nominations for 2018 can be found here. Policy for the implementation of the ICOMOS World Heritage mandate can be found here; the Guidelines for Desk Reviews here; and the Format for Desk Reviews here. As part of our work in the Department on climate change adaptation, we are trying to assess the nature and extent of recent extreme weather events (high temperatures and drought) on historic structures and archaeological sites. Can you please let me know if you’re aware of any examples of damage caused by the recent weather events whether by soil shrinkage, increased fire risk or damage, warping or splitting of timber and other organic building elements, changes to designed landscapes including loss or damage to planted features/trees, etc. We’re also interested in any reports you may have received from those involved in conservation works. For example, we’ve had some reports of issues with the setting of mortars and renders due to the hot, dry weather. Also, please let us know if you’ve observed any positive effects from the weather conditions including the discovery of archaeological sites (whether through the appearance of crop marks or due to water level changes along the margins of rivers or lakes), drying out of damp or saturated building fabric and the like. The ICOMOS International Scientific Committee on Interpretation and Presentation of Cultural Heritage (ICIP) and the International Ecotourism Society (TIES) are delighted to announce that our joint 2018 conference ‘Critical Issues in Heritage Interpretation and Sustainable Tourism’ will take place from 23-25 October 2018 at the Auditorium al Duomo, Florence, close to many of the UNESCO City’s famous attractions. The 2018 conference will explore the links between tangible and intangible cultural heritage, natural heritage and sustainable development through the lenses of interpretation and sustainable tourism. Presentations and conversations will draw on both the guiding frameworks of the UN Agenda 2030/ Sustainable Development Goals (SDGs), the ‘Nature/Culture Journey’, and the ICOMOS Charter on the Interpretation and Presentation of Cultural Heritage Sites. We invite presentations in a variety of formats, from formal presentations to panel discussions and other interactive formats, lunch meetings and short papers. We will be seeking lively, relevant and engaging presentations that address important contemporary issues in both areas. There will also be study tours and excursions, where we will explore issues facing Florence with the aim of furthering the SDGs specific to cultural and natural heritage. We will keep you posted about the conference via email, ICOMOS/TIES announcements and through the official conference website (www.estc-icip2018.org). Conference Registration is now open. We hope you will join local and international experts for this landmark event and look forward to seeing you in Florence. From the Convenors: Sue Hodges (President, ICIP) Jon Bruno (President, TIES) Jane Beattie (Member, ICIP, TIES). Think that all insulation is equal? That double-glazing is the answer to draughty rooms? Or that dry-lining walls is the secret to a cosier home? Much of the advice around energy efficiency measures given to homeowners would suggest as much, but the reality is very different for many older buildings. The Heritage Council, ICOMOS Ireland and partners have produced a report on Deep Energy Renovation of Traditional Buildings with support from the Sustainable Energy Authority of Ireland (SEAI). The report deals with how to reduce energy use in older buildings that are constructed differently to modern buildings and so need a different approach. This much-needed body of research includes and highlights potential renovation risks such as damp. It is designed to inform building professionals and specifiers but would be of interest to anyone looking to make an older building warmer and more comfortable. The report is available to download for free from the Heritage Council and ICOMOS Ireland websites and includes hundreds of links to further sources of information. Traditional buildings generally have solid stone or brick walls. They represent about 16% of the total residential housing stock in Ireland. These buildings have different moisture (hygroscopic) and thermal behaviours to modern construction and therefore need different methods and materials to improve their energy efficiency. In our nationwide effort to reduce carbon emissions and energy use, it is important that energy renovation works in traditional buildings do not lead to an increased risk of damp. Moisture retention has damaging effects on both the fabric of the building and on the health and well-being of the occupants. This report helps to reduce these risks by highlighting good practice design and by sharing technical advice and lessons learned by others along the way. The report is the result of a research project commissioned by the Heritage Council and funded by a grant from the SEAI Research, Development and Dissemination Programme. The research was carried out by Dr Caroline Engel Purcell, with the support of Carrig Conservation International Ltd, and the ICOMOS Ireland National Scientific Committee on Energy, Sustainability and Climate Change (NSCES+CC) acted as the expert Steering Committee. This report also responds to the call by the Department of Communications, Climate Action and Environment to create co-operative cross-institutional arrangements between State Departments, statutory bodies, the building sector and NGOs to further the aim of reducing Ireland’s carbon emissions and energy usage. The Heritage Council and its partners intend to use this report to provide technical conservation skills training for the deep energy renovation of traditional buildings in 2018. A one-day conference to discuss on-going priorities, strategies and challenges facing urban regeneration and consolidation in our major European cities and towns. Responsibility for shaping, managing and re-imagining the built environment is one shared by all sectors in society: communities, central and local Governments, design and building professions, financial institutions, specialist agencies, clients who commission buildings and the building industry. Without a well-informed and engaged public, creation of a high quality built environment and the on-going management of our inheritance from the past may be difficult to achieve. The continuing challenge has a new dimension: how to integrate this broad cultural agenda with the urgent requirement that we establish a sustainable built environment for both existing and new building stock. Cities and their qualities in terms of the urban environment have become a key element in competitive advantage and in driving economic investment and progress – in this regard place has become a key element of this economic proposition. Leveraging significant investment in the sustainable management and conservation of Ireland’s urban built heritage - there is a new opportunity to focus on re-using our existing historic buildings and areas through well informed and creative adaptation strategies. The central objective of this one day conference is to bring together key stakeholders from relevant government departments, local authorities, professionals in practice and a range of other players in the built environment across Europe to collaboratively discuss exemplary practice in the successful regeneration of historic buildings and places.